Martin Bautista began his career in 2007 and immediately carved his own niche in the fashion design industry. Known for his impeccable skills in drapery and garment construction and his masterful use of jersey in many of his creations, Bautista’s designs have been prominently featured in many runway shows, magazine covers and editorials, on the red carpet and in special events—worn by his famous muses: Angel Locsin, Divine Lee, Pam Quiñones, Anne Curtis, Georgina Wilson, Solenn Heussaff, Bianca Gonzalez, and Judy Ann Santos. In 2011, his Spring/Summer 2011 collection, “Lady Danger,” won the Prive Fashion Award for Best Collection. Two years later, Bautista ventured into ready-to-wear with his very own collection for retail brand Cinderella. 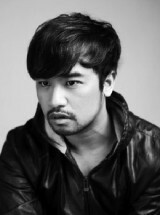 In 2014, he was nominated in the Best Upcoming Fashion Designer category for Fashion Asia Awards. Bautista’s services include custom-made womenswear, bespoke long gowns and dresses, couture gowns, and bridal wear.